This isn’t my meme but I would love to know if this is true! 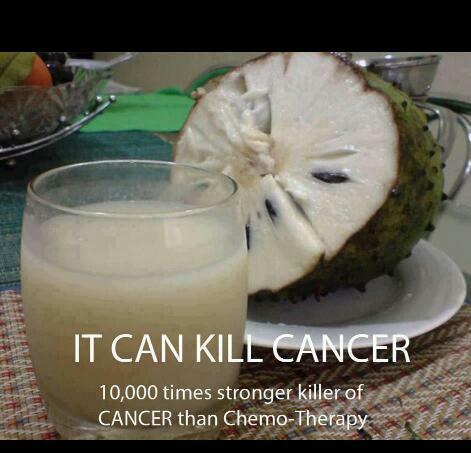 I keep reading about the Sour Sop, a plant that grows in tropical areas in Central America and South America. Every part of the plant including the bark is used for medicinal purposes. Many say that soupsop juice is 10,000 times more potent than chemo and kills cancer cells without harming healthy cells! Omg how did I forget?! I have fantastic news!